The EU’s Data Protection Supervisor made an unexpected move today (11 September) by releasing an opinion on technology and ethics, aimed to fill in gaps in consumer protection rules left unaddressed by the ongoing EU privacy reforms. The supervisor’s office also has an independent ethics board in the works to advise on “the relationships between human rights, technology, markets and business models in the 21st century”. “Data protection principles have proven capable of safeguarding individuals and their privacy from the risks of irresponsible data processing. But today’s trends may require a completely fresh approach,” the supervisor’s opinion says. The data protection supervisor advises on data privacy issues within EU institutions and does not have legislative power. Giovanni Buttarelli, who took up the post last December, told EURACTIV he doesn’t think he’s stepping on anyone’s toes by coming out with an opinion targeting the tech industry. “I’m expecting very positive feedback,” Buttarelli said. The European Commission’s Responsible Research & Innovation project funded through the Horizon 2020 programme as well as the Onlife Initiative address questions involving the ethics of technology. Buttarelli has already ruffled feathers in only a few months in office. In July, he published his own draft of the general data protection regulation, inserting a clause on “human dignity” into the text. The regulation is now being ironed out by negotiators from the European Parliament, Commission and Council who have promised to wrap up talks this year. 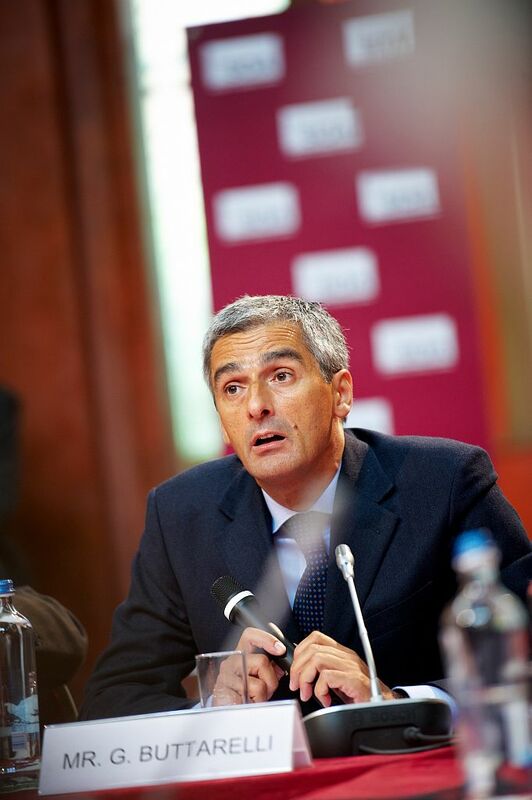 Buttarelli’s opinion focuses on developing tech trends that “raise the most important ethical and practical questions for the application of data protection principles”, including the Internet of things, smart devices, cloud computing, drones and autonomous vehicles, artificial intelligence and 3D bioprinting. The European Parliament vote this week (8 September) to ban meat from cloned animals is another example of how ethics and technology coincide, Buttarelli said. A group of experts from different fields will be brought together in the data protection supervisor’s ethics board, which Buttarelli said should be set up by the end of the year. The group will be temporary and should wrap up its work after 18 months. Buttarelli is spending next week on a mission to Silicon Valley. EURACTIV previously reported the trip, which Buttarelli called as an opportunity for him to step out as “a sort of ambassador of European data protection” and check out new tech trends coming out of the US. Next week, Buttarelli has meetings set up with officials from the White House and the US Federal Trade Commission. Experts from the US could sit on the ethics board his office will preside over, Buttarelli told EURACTIV. “It will not be purely an EU advisory board,” he said. Existing European rules on data protection were adopted in 1995, when the Internet was still in its infancy. In January 2012, the European Commission published a vast legislative package aimed at replacing the existing rules and giving greater protection to personal data across the EU. The package includes two legislative proposals: one general regulation on data protection (directly applicable in all the member states) and one directive specifically aimed at data protection in the police and the justice systems (to be transposed into national law). by the end of 2015: European Data Protection Supervisor to set up ethics board, which will meet for about 18 months.